As I am writing this, it is a week before the holiday of Thanksgiving, meaning that Winter Solstice is just around the corner. Here in the northeast section of the United States, the weather has begun to get quite chilly and we have had the first tiniest taste of snow, while in other parts of this country, the ice and wind chill has already begun to wreak havoc. So, I thought this would be the perfect time to write about just a few of the many Winter Goddesses that abound throughout the world. Colleda is the Goddess of Winter in Serbia. Angerona is the Roman Goddess of the Winter Solstice. Her feast in held on December 21st, just as the sun energy begins to increase; but just before the balance tips, Angerona reminds her worshippers of how frail the natural balance of the world truly is. She is most often portrayed with her finger to her lips for silence. 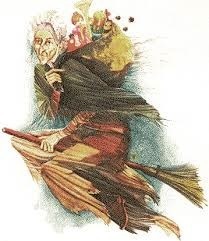 Befana is called “the lady of twelfth night” in Italy. Many places in Italy still follow the Befana tradition of hanging a lady dressed in rages outside the home on January 5th. Befana delivers gifts to the children and, it is said, she will sweep up before she leaves. Many of us still have representations of Befana in our home without even being aware of who she really is. I have a small statue of her in my kitchen, which is there year-round. She is the proverbial kitchen witch. 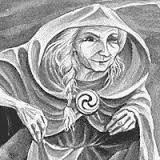 Cailleach is the gloomy old woman, also called the winter hag. 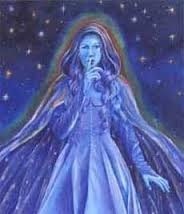 She is known at Cailleach Bheur in Scotland and Cailleach Bhera in Southern Ireland. She is also known as Baira, The Queen of Winter. She is said to rule winter between Samhain and Beltaine. She is capable of ruling the weather, as the staff that she carries freezes the ground. Before there was the groundhog, there was Cailleach. It is said that on Feburary 1st, if it is sunny and bright, the winter will be longer and that She is gathering firewood to keep herself warm for the prolonged winter. Wah-Kah-Nee is “the drifting maiden” of the Chinook Tribe on the Pacific Coast of the United States. Her tribe was struck by a never-ending winter. The ice blocked the rivers from flowing; the cold winds killed the crops. They feared for the survival. It was said that the winter was caused by someone killing birds, but all who were questioned denied it, but a young girl was blamed. The tribe dressed her and exposed her on a block of ice as an offering to the Winter spirits. The ice broke and summer returned. Months later, a block of ice containing the girl, Wah-Kah-Nee, was found. She survived and was then treated as a sacred being by the Tribe. 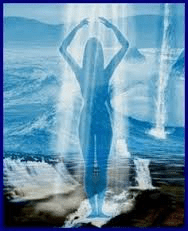 She could could walk unprotected through the winter months and communicate with the spirits. Frau Holle is known throughout Germany, Austria and the surrounding countries. 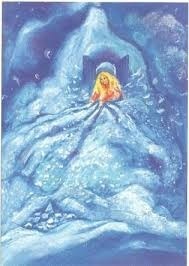 Snow covered the earth when she shook out a feather comforter. She rode in a wagon, on the wind and rewarded good people with gold; she invented spinning. Between December 25th and January 5th, the 12 days of Xmas, she traveled the world. 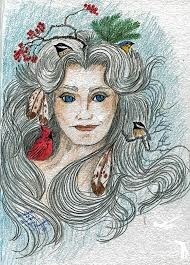 She is associated with many of the evergreen plants used around Yule, such as holly and mistletoe. These are just a few of the many Winter Goddess from around the world. I hope you have enjoyed reading about them. I wish you all a blessed Holiday season, filled with happiness, love and joy. Keep the light burning in your heart all year long.